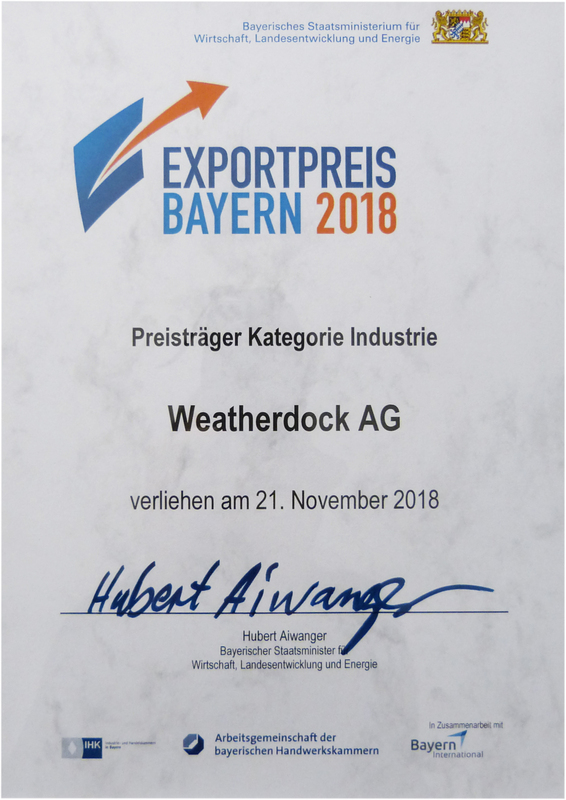 Weatherdock is the proud winner of the “Exportpreis Bayern 2018” in the category “Industry”. 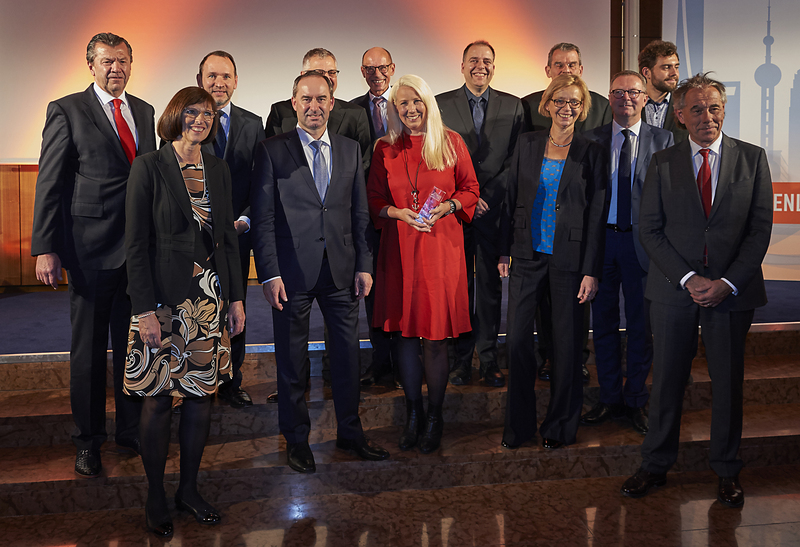 At the award ceremony on November 21st, 2018 in Munich, after a speech and a short film about the company, the three company founders and managing directors Alfred Kotouczek-Zeise, Wolfgang Werner and Jürgen Zimmermann were awarded with a custom-made trophy. 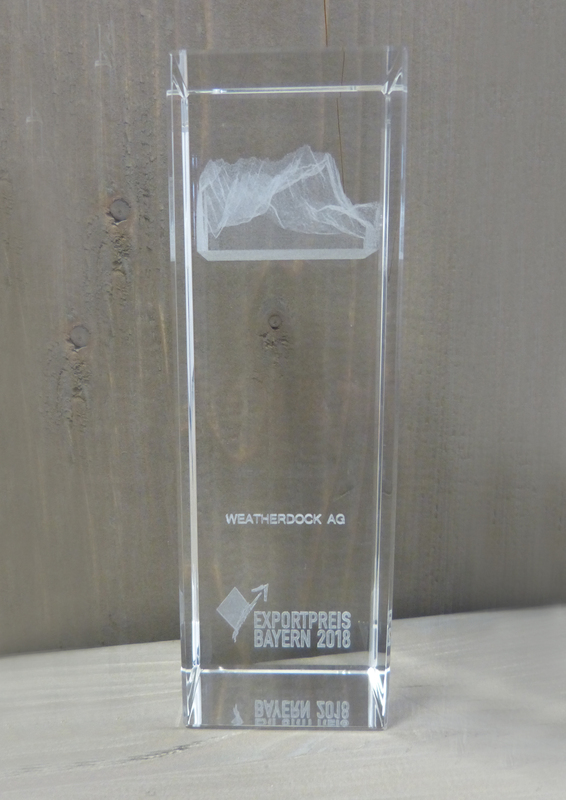 This was presented together with a certificate from Hubert Aiwanger (Deputy Prime Minister of Bavaria). 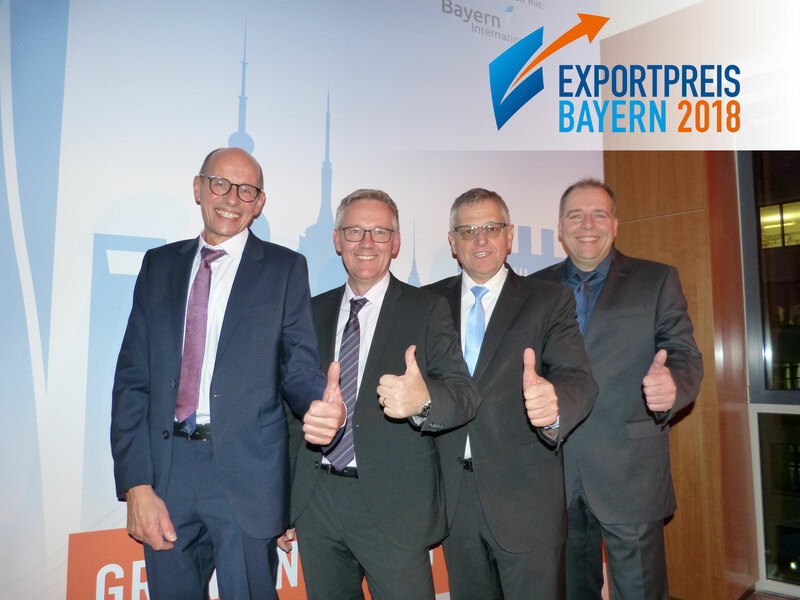 The “Exportpreis Bayern” honors small businesses that, thanks to their exceptional entrepreneurial performance, have successfully distributed their “Made in Bavaria” products worldwide. 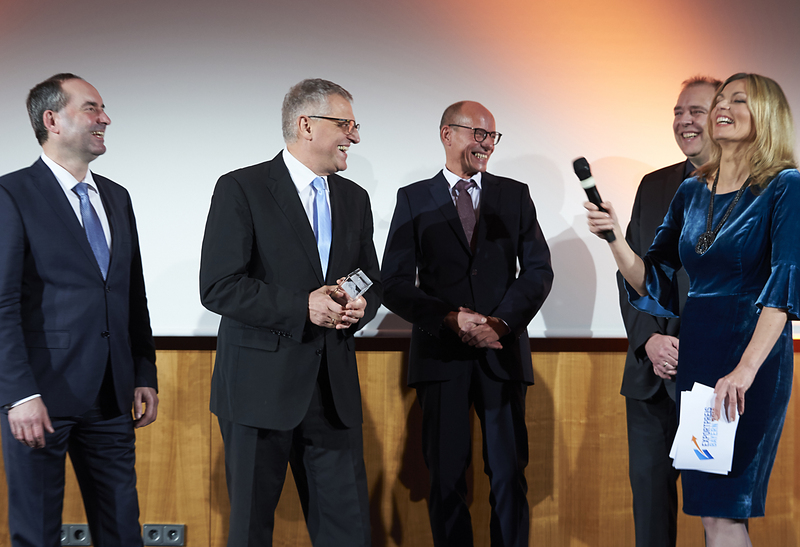 Every year, the winners are selected by a top-class jury.